I went to school in Jerusalem, Israel, for some time. 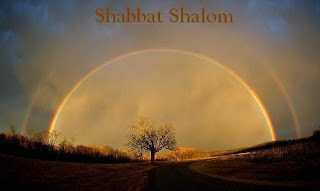 From Friday sundown until Saturday sundown is the Sabbath. And in Jerusalem, which is a very religious city, pretty much everything is closed. As an American, this drove me nuts. "It's Friday night and we can't go to the mall, a movie, out for pizza?!?!?!?!?! That's positively Un-American!" As I said, it drove me nuts...and I wasn't the only one. The funny thing was that after a while, I learned to love it. "There is nothing to do? Ahhhhhhhhhh." It was great, BECAUSE there was nothing to do. Truth be told, we did have something to do. Our school had a vespers service at sunset. Then, a bunch of us would gather in a common room and play games all evening, just hanging out and talking. It was incredibly relaxing. I miss that. The word Sabbath means "To Cease" in Hebrew, and from that point on that word and it's concept has been amazingly misunderstood for something so simple. At it's core is the idea that God gave human 6 days of the week to do "Stuff." He then set aside one day of the week for people to simply "Chill Out." One of my favorite heretics put it best when he said, "God wants us to be humans BEING, not just humans DOING." Today, there are silly arguments about what day the Sabbath actually is. Many Protestants & Catholics think it's actually Sunday. (They say this because Sunday is often referred to as "The Lord's Day" because Jesus was resurrected on a Sunday.) Jehovah's Witnesses and 7th Day Adventists say that it's Saturday. Well actually, since the ancient Hebrews and modern Jews...and that would include Jesus, used a Lunar calender to tell time, the proper day for the Sabbath is actually Friday sundown until Saturday sundown. But if you think that settles the argument, you are sadly mistaken. I once went to a debate about which day was the Sabbath. Both guys argued that their particular day was the Sabbath and that was when you were supposed to go to church and worship God. I think that they both missed two very obvious points. #1. Back in the day, if you had Saturday morning off, naturally that would be the day to go to the synagogue...or to church if you had Sunday off. It's not like you are going to wander out of your factory job in the middle of your shift to attend a service. It was simply out of convenience, nothing more. #2. More importantly, EVERY DAY is the day to worship God! If Believers are told to pray without ceasing, and that we are to meditate upon God all hours of the day, then why segregate one day of the week for him? Are we supposed to keep God at a distance for 6 days, and only recognize him for an hour & a half one day of the week? Silly! The Sabbath is NOT about formal worship at all! Jesus made it plain that he is the Lord of the Sabbath. He would tell the professional religious people that "The Sabbath was made for man, not man for the Sabbath." Jesus loved to heal (Work) on the Sabbath. Once he even hocked a loogy into the dirt to make mud, which he then mushed into a blind mans eye's to heal him on the Sabbath. (Which was a direct violation of sabbath instructions found in the Mishna.) It appears that Jesus took a particular delight in poking his finger in the eyes of "Religious" people. When Moses codified the first 5 books of the bible, he had the final say on the creation stories. He ends the first story, which is actually a poem, (Pretty cool that poetry would begin the story of God & humanity.) with "And God blessed the seventh day and made it holy, because on it he rested from all the creating that he had done." Moses then goes on through the Exodus, Leviticus, Numbers and Deuteronomy dropping all kinds of explanations and instructions about Sabbath type activities. God even institutes 7 major Sabbath-style festivals through out the year for folks to get together, celebrate before YHWH, and have essentially ancient BBQs. Excuse me while I blaspheme, but I can totally picture YHWH talking to Moses in the tent of meeting saying something along the following lines: "Oy, Moishe! Tho shalt grill thy stakes & kabobs in mine presence unto me, and tho SHALT have fun! Verily, tho must findeth me a D.J. of copious skills & rhythm too, for my children must getteth their groove on." Further more, I can picture Joshua at the tent flaps, eves dropping, thinking "Oooooo goodie, S'Mores!!!" Here were a large group of people who had been slaves all their lives. Slaves, whose only value was in whatever they produced for their masters. 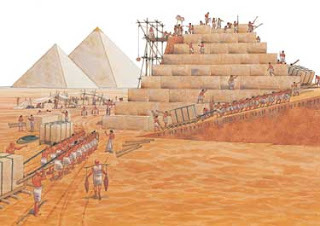 If you can't produce the bricks for Pharaoh and his corporation, then you had no value. When God liberated his people from Egypt, he wanted them to know that their value did not come from what they produced. Their value, our value, comes from God because we are made in his image. And as an image barer, we have great value indeed. So God instructed his people to take a day off and rest, and he even modeled it for them...for us. Seems like we are still in Egypt in many respects. On the other hand, in modern America we are often work obsessed. We strive to get ahead. Drive, drive, drive!...gotta succeed and make money. And then we are puzzled why our health is often so bad and we are mentally stressed out. Maybe that's what's been causing me to feel so tired recently. I need to get back to finding a time during the week to have a Sabbath. Don't kid yourself that it has to be a specific day of the week. I mean, what is the most work-like day for the average pastor? SUNDAY, duh. So most pastors I know take Monday off and use that as their "Day of Rest." But seriously, I/we should set aside some time to turn off the computer, formal work, and all the stressors, and just chill out in whatever form it is that rejuvenates us some time during the week. Let's face it, we need it. Old Professors can still learn New Tricks. In the company of men. "But what about YOU? Who do YOU say I am?" Jesus, Islam, and loving your neighbor.